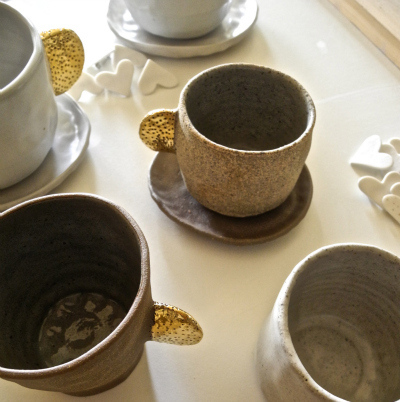 I have a thing for pottery and ceramics. In my collection so far I have many beautiful bone or ceramic teacups, a teapot and a beautiful and unique hand painted bowl from France. And one Polish pottery (blue and white) handmade vase from- you guessed it- Poland. I love all these pieces but most of the teacups are antique family sets that I cannot bring myself to use frequently (and tiny!). So I was excited to come across and love these two talented ladies. They tick all the boxes- small business, Australian made, hand made, stylish and completely functional- none of this only-for-special-occasions business!! I think sometimes we get in our head that ceramics are still going to be all mass produced wheel spun bowls with paintings like the 90’s Italian pasta bowl theme. The styles of these two artists are quite unique from each other and I hope you love them as much as I do! Both ranges make great unique gifts that are a little bit special (birthday hint hint to sister…)!! Bridget makes a wide range of pottery but my all time favourite are her teacups. 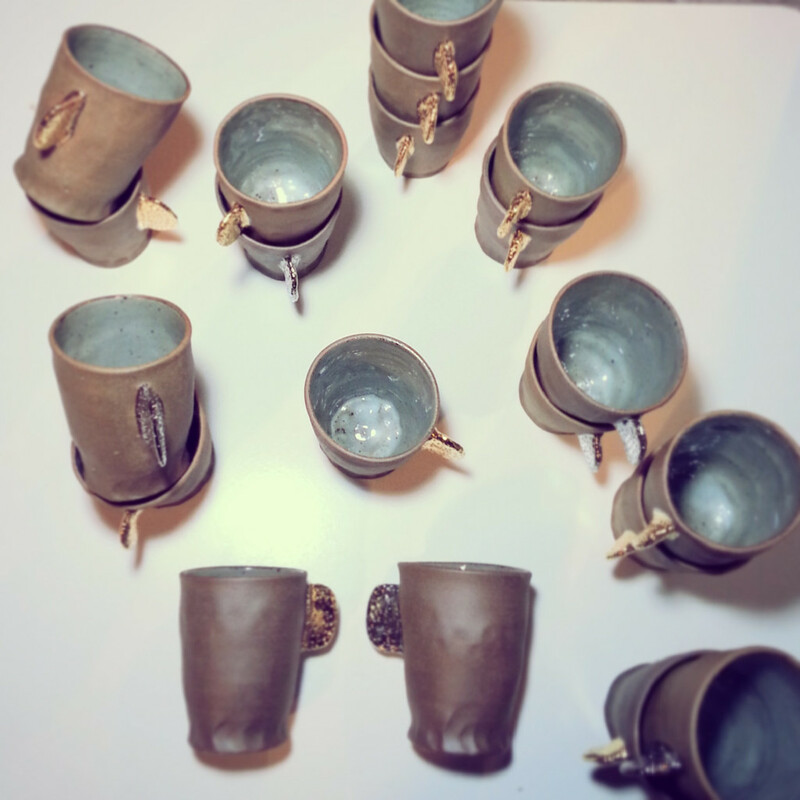 They are natural clay with a gold handle- I love a touch of gold! There is something about handmade pieces that are amazing, each item is unique and there are no set measurements that can be strictly stuck to. To perfect a style in a casual way is tough, but she nails it. 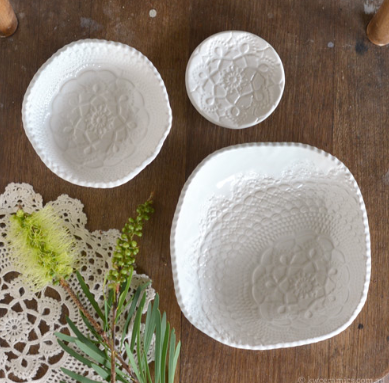 Her items are available in Melbourne at Mr Kilty and she does the rounds of art and pottery markets and exhibitions. 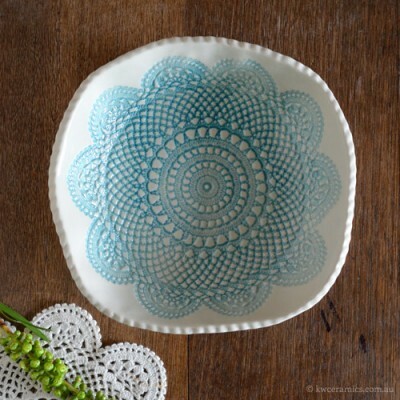 Such a different style to Bridget, Kim imprints lace and patterns in her pieces which are mainly white clay and colour is added to highlight the detail. This collection is a bit more structured but such stunning and classic pieces, I absolutely adore!! You can find Kim’s work at the next Finders Keepers market if you missed her there last time! 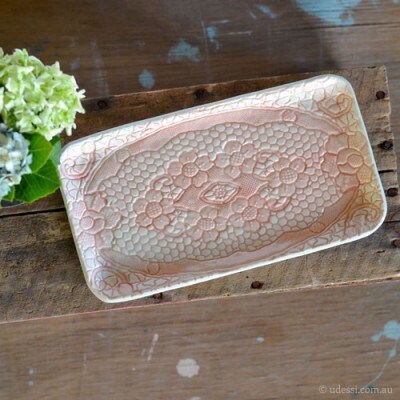 Kim Wallace Ceramics- simple yet elegant! Click to follow my blog and receive (super basic- working on making it fancy!) notifications of new posts by email! New branding and back into posts next week!